Comprehensive two-day course offering first aid and cardiopulmonary resuscitation (CPR) skills for those who need training due to work requirements or who want more knowledge to respond to emergencies at home. Includes the latest first aid and CPR guidelines. 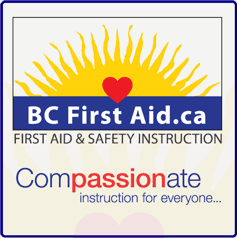 Meets federal and a variety of provincial/territorial regulations for Standard First Aid and CPR. Exceeds competitors´ standards by including injury prevention content, CPR and AED.